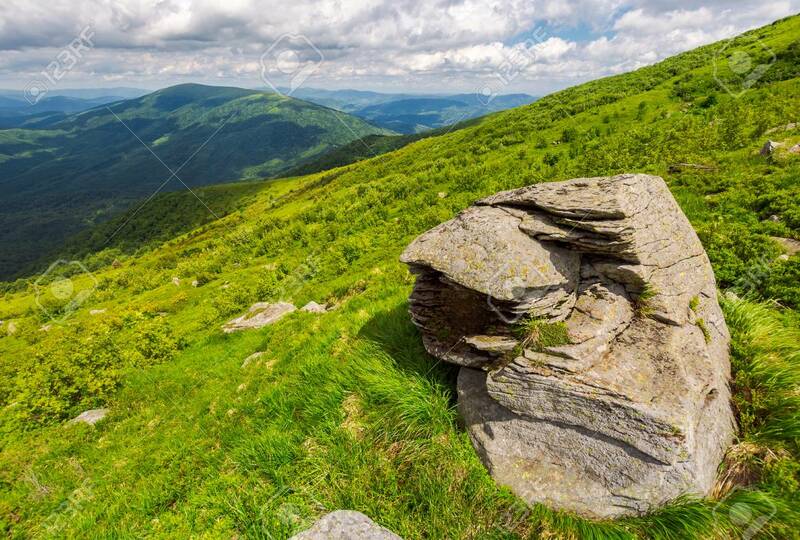 Huge Rocks On The Grassy Mountain Side. Wonderful Summer Landscape Stock Photo, Picture And Royalty Free Image. Image 106208462.